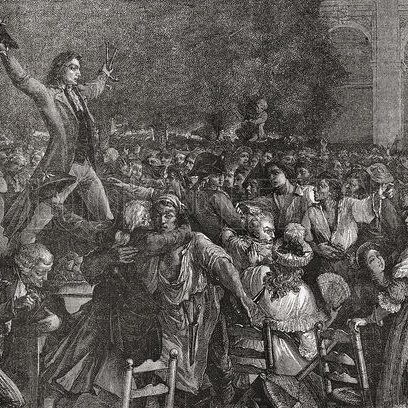 Daniel Guerin's work analysing the class tensions during the French Revolution and within the first French Republic. The period between the fall of the Gironde, 31 May 1793, to the execution of Babeuf four years later saw the unfolding of the first modern class conflict. The new bourgeoisie back-tracked from the extreme democratic positions they took up during the revolution and came into open conflict with the sansculottes, an embryonic proletariat who were pressing for the completion of the revolution. Daniel Guerin's classic two-volume work on the subject, "La Lutte de Classe dans la Premiere Republique", was originally published in 1944. This first translation into English followed the shortened French edition prepared by the author for publication as "Bourgeois et Bras Nus" in 1973. An article on the situation in higher education generally and at Sussex University in particular. A magisterial, definitive account of the upheavals in Germany in the wake of the Russian revolution. What is wrong with free money?